Born in 1973 in Bucks County, Pennsylvania, to a closely-knit musical family (her mother is a Juilliard-trained cellist), Pitcairn began playing the violin at age three and made her debut with orchestra at 14. Her path led her to Los Angeles to study with preeminent violin professor Robert Lipsett at the University of Southern California. Her former teachers include Julian Meyer, Sylvia Ahramjian, Jascha Brodsky, Robert Lipsett and Shmuel Ashkenasi. She was a member of the distinguished faculty of both USC and the Colburn School for 10 years (2000-2010), taught at the Encore School for Strings, and is an alumna of the Marlboro Music Festival, the National Repertory Orchestra, Luzerne Music Center, Temple University’s Center for Gifted Young Musicians, the Philadelphia Youth Orchestra, the Meadowmount School, Point Counter Point, the Encore School for Strings, the YMF Debut Orchestra and the American Youth Symphony. She served as concertmaster of the New West Symphony under the direction of Boris Brott for 11 years (2000-2011). With Maestro Brott, she appeared with the McGill Chamber Orchestra of Montréal, the National Academy Orchestra in Ontario and the New West Symphony. She has appeared in recital for the Philadelphia Chamber Music Society, and for a special event at the Aspen Music Festival with President and CEO Alan Fletcher and soloist Robert McDuffie. Pitcairn regularly appears internationally with pianists Barbara Podgurski, Hungarian pianist Anikó Szokody, Louise Thomas and Cynthia Elise Tobey. She believes strongly in philanthropy and is a frequent performer for charitable events such as the American Cancer Society, the Breast Cancer Research Foundation, the Helping Hands and Hearts Foundation and the Nakashima Foundation for Peace. Pitcairn made her debut with orchestra at age 14 performing the Saint-Saëns Concerto, and has since appeared as soloist with the Philadelphia Orchestra at the Academy of Music and at Lincoln Center’s Alice Tully Hall in the year 2000 with the New York String Orchestra in her New York debut. She has since performed at Carnegie Hall, Walt Disney Concert Hall, the Kimmel Center, Saratoga Performing Arts Center, and the Fisher Center at Bard College. She has given performances of the Mendelssohn Violin Concerto with the Shenzhen Symphony Orchestra of China and with conductor Wagner Politschuk in São Paulo, Brazil. Under the baton of Finnish conductor Hannu Koivula, Pitcairn has performed the Barber Concerto with the Vaasa City Symphony, the Jönkopping Symphony of Sweden and given the premiere of eminent Swedish composer’s Hymnen an die Nacht with the Helsingborg Symphony. She gave a nationally televised broadcast of the Bruch Violin Concerto with the Classic FM Radio Symphony Orchestra of Bulgaria conducted by Maxim Eshkenazy. She has also concertized in Italy, France, Germany, the British Isles, Hungary, Brazil, Canada, San Miguel de Allende, Mexico, the U.S. Virgin Islands, and the French West Indies. In the winter of 2016, she will appear in recital at the Cayman Arts Festival with pianist Glen Inanga and with the Arkansas Philharmonic and the North Mississippi Symphonies conducted by Steven Byess. She will also perform the Brahms Violin Concerto with the Richardson Symphony, and will release a recording of the Brahms and Mendelssohn Violin Concerti in the fall of 2016. She has appeared with the Fort Collins Symphony conducted by Wes Kenney, the Allentown Symphony with Diane Wittry, the Bucks County Symphony, Ridgewood Symphony and Knickerbocker Chamber Orchestra of New York led by Gary Fagin, the Marin Symphony conducted by Alasdair Neale and the USC and Richardson Symphonies conducted by Anshel Brusilow. She performed the Brahms Double Concerto with Ronald Leonard, under the sbaton of Yehuda Gilad and Carlo Ponti, Jr. She has performed the Tchaikovsky Violin Concerto with the San Luis Obispo Symphony music director Michael Nowak, and the Beethoven Violin Concerto with Lara Webber and the Livermore Symphony. In 2010, on the 20th anniversary of the auction of the Red Mendelssohn Stradivarius, she gave a commemorative recital in Cremona, Italy with pianist Igor Longato, whom she met at the International Tchaikovsky Competition in Moscow in 1998. She has toured northern Italy with the TOCCATA-Tahoe Orchestra performing Vivaldi’s Four Seasons and in 2017, she will tour Vienna, Salzburg and Prague, as well as Romania and Serbia. Also in 2017, she will perform The Red Violin Chaconne with Maestro Jung-Ho Pak and the Cape Symphony and record the Sibelius Violin Concerto which will be released together with the Mendelssohn Violin Concerto. Pitcairn’s gowns are courtesy of LaFemme Fashion. The “Red Mendelssohn” Stradivarius is fitted with Wittner Finetune-Pegs and travels in a titanium case by GEWA. Her favorite activities are skiing, tennis, horseback riding, wine tasting and her philanthropy www.littleredviolinfoundation.org. For her concert schedule and history of the “Red Mendelssohn” Stradivarius violin, please visit www.redviolin.com. Pianist Louise Thomas has concertized extensively throughout Europe, North America and Asia at such concert venues as the Tchaikovsky Conservatoire in Moscow, the Franz Liszt Academy Museum in Budapest, the Forbidden City Concert Hall in Beijing, Walt Disney Concert Hall in Los Angeles and Weill Hall in New York City. Louise Thomas was born in Ireland and completed undergraduate musicology studies at Trinity College, Dublin. She received a German Government scholarship to continue piano performance studies at the Hochschule für Musik und Theater in Hannover, Germany where she received a Konzertdiplom in the solo piano class. Dr. Thomas won second prize at the Ibla-Ragusa competition in Sicily where she was awarded the Béla Bartók Prize. She also won the concerto competition at the University of Southern California and performed with Maestro Sergiu Comissiona. Dr. Thomas received her doctorate in piano performance in 1999 from USC where she studied with Prof. John Perry and Director of Keyboard Collaborative Arts, Dr. Alan Smith. A dynamic collaborative pianist, Louise Thomas has made CD recordings in Germany (as part of the chamber music festival, “Schwetzinger Festspielen”); at the Banff Center for the Arts in Canada with the Irish Contemporary Music group, Nua Nós, and has appeared on numerous live radio broadcasts for Irish Radio, BBC Radio Northern Ireland, Moscow radio, K-USC and K-MZT in Los Angeles. She has also played live and recorded for RTE (Irish National Television) and the nationally distributed Ovation Arts Channel in Los Angeles. Her recordings are available at iTunes.com and on the Centaur label. 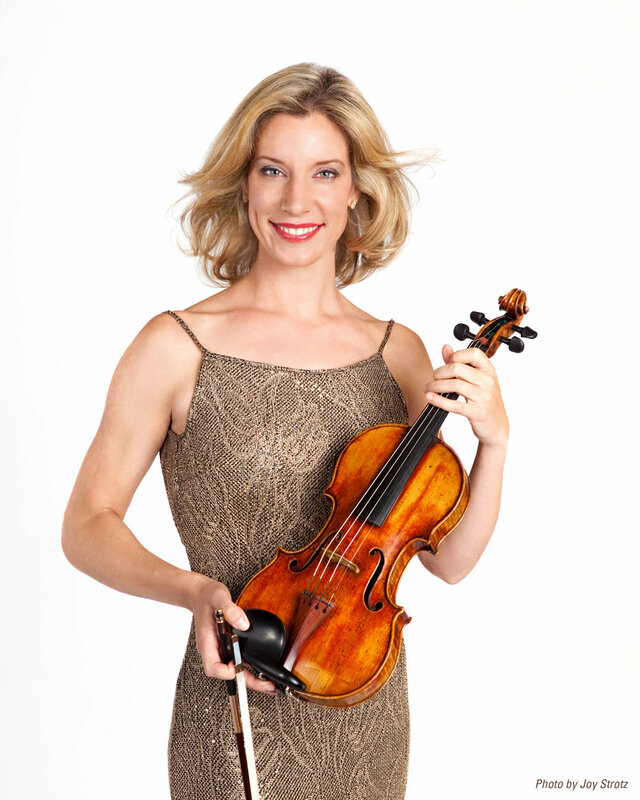 She concertizes regularly with violinist, Elizabeth Pitcairn, who performs on the legendary “Red Mendelssohn” Stradivarius, in addition to appearing regularly on the acclaimed Jacaranda Series in Los Angeles. Louise Thomas has been invited onto the faculty of several summer programs: she was the vocal coach at the 2002 “La Fabbrica” summer program in Tuscany, and from 2003-2009, she was the Festival pianist and vocal/instrumental coach at the Idyllwild Arts Summer Academy in California. In the summer of 2011, she joined the faculty at the Luzerne International Music festival in New York State and returned as Chair of the Piano program (first session) in 2012. 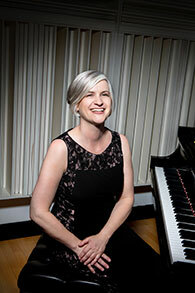 Dr. Thomas joined Chapman University in 2001 as Director of Keyboard Collaborative Arts. In June 2014, she was named Associate Dean for Academic Affairs in the College of Performing Arts at Chapman.